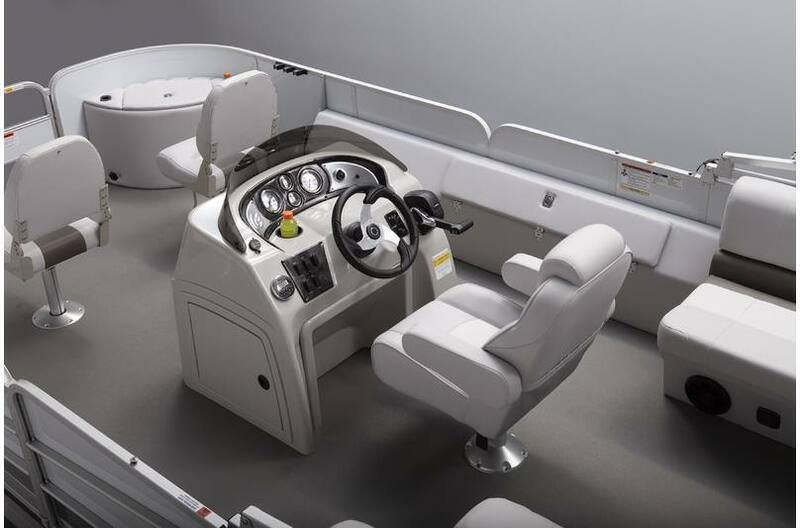 The new SunCatcher V22 Center Console model has all of the comfort of a family pontoon boat, combined with convenient fishing features from bow to stern. 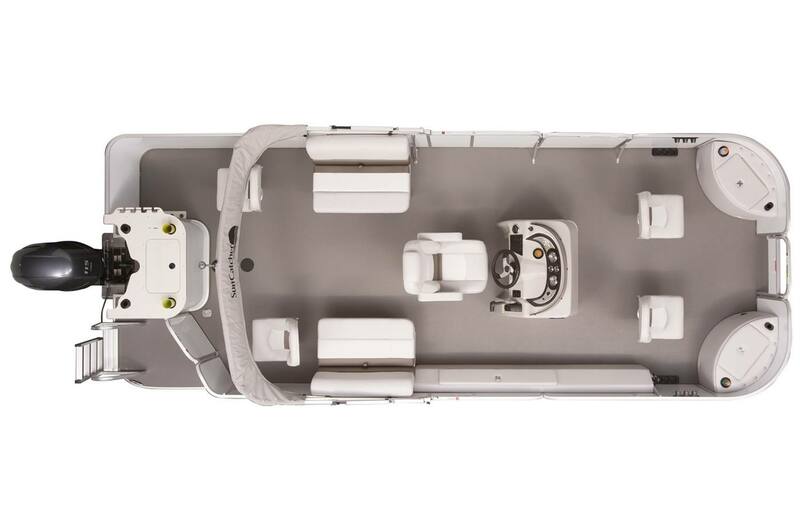 As the first Center Console in the SunCatcher lineup, this versatile pontoon features amenities not previously offered, including 4-point fishing seats to provide casting space from every corner of the boat. 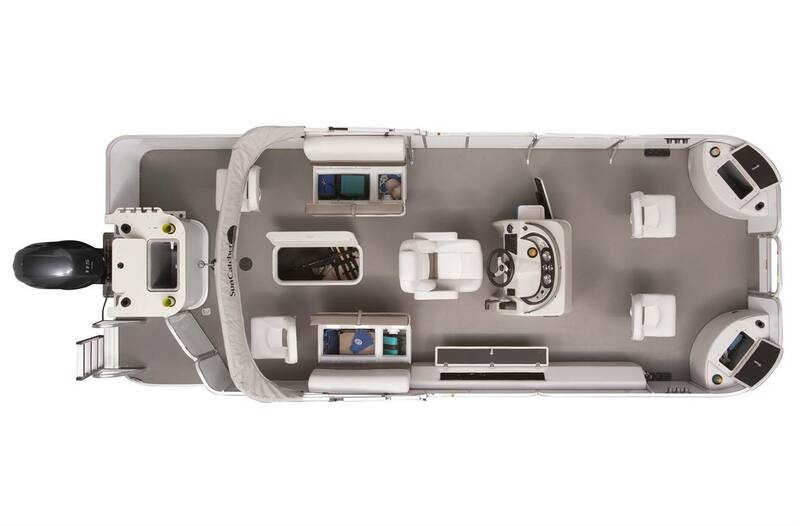 The helm area gives the Captain total control, with quality Faria® gauges set into a molded dash. 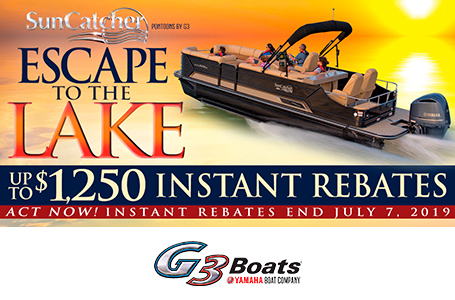 Superior Lowrance® electronics and Simrad® GPS are available as options. 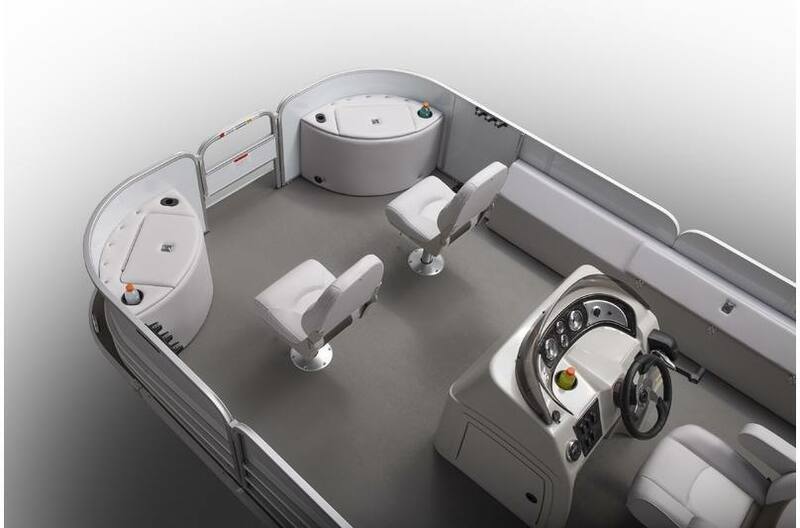 A high-back Captain's chair is also a popular option. 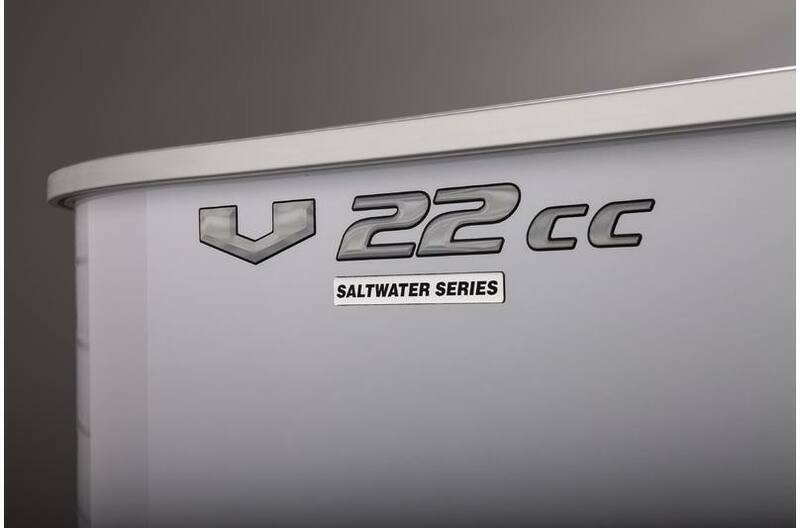 Every SunCatcher pontoon also offers an optional Saltwater Series package for extra protection in coastal waters, including a full-length underdeck performance shield and anodes attached to each log for corrosion prevention. 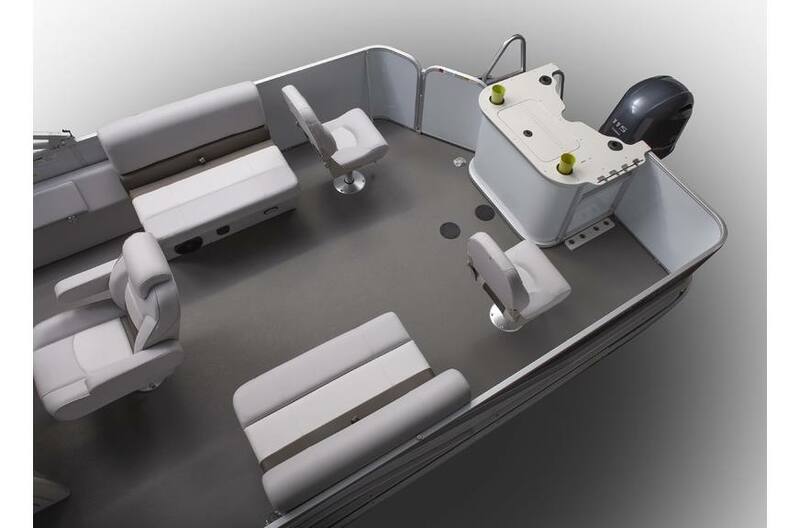 Stern fishing is enhanced by the open layout and 12 gallon livewell built into the fishing console. Rod holders and tool slots are nearby. 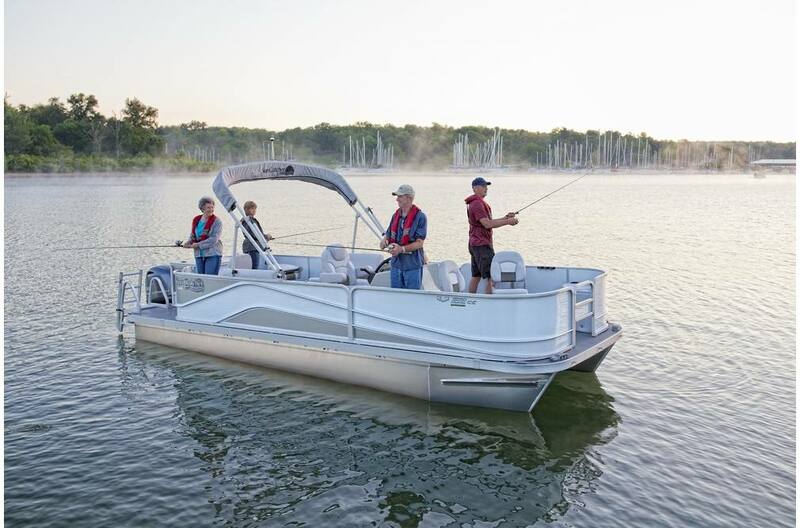 Bow fishing is a pleasure with two swivel seats, 10 gallon livewell, and quick access storage compartment. Each location has a rod rack within reach. 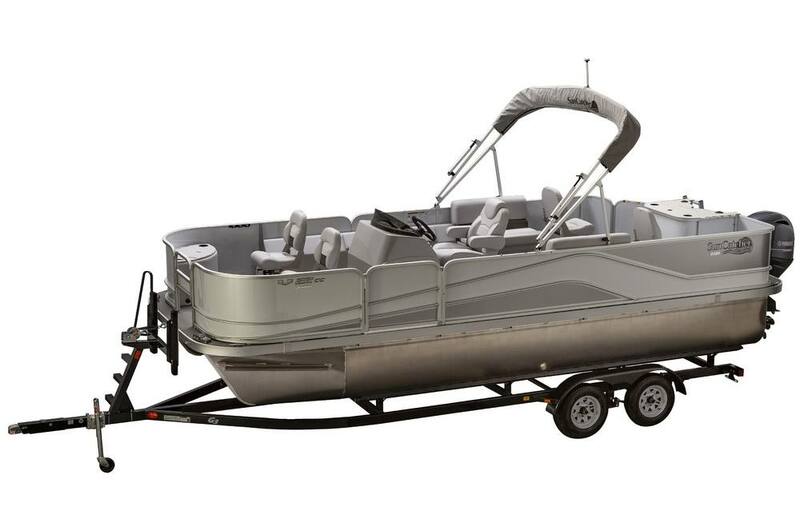 Dry Hull Weight: 2435 lb. Max Weight Cap: 2350 lb. Livewell Dimensions: 14 in. x 19 in. - 10G 17 in. x 19 in. - 12 gal.